A season ago, the wins didn’t matter. They shouldn’t, anyway. Not according to most Oklahoma City Thunder fans. 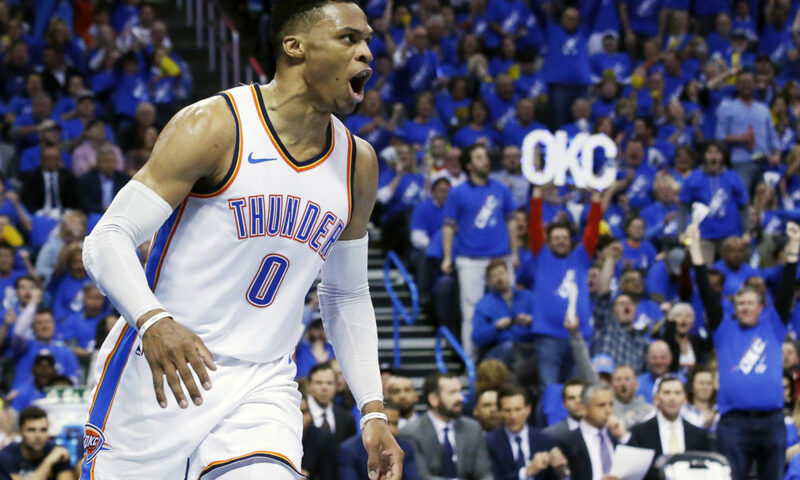 A season ago, Westbrook was too busy becoming the best basketball player since Oscar Robertson. An historic season. An historic accomplishment. Averaging a triple-double? Well, that kind of season is one that deserves an award, worthy of much praise, despite the fact it was built on the backs of overwhelming late-season performances against mighty Denver and Orlando. Never mind that James Harden had nearly equal numbers. Never mind that James Harden had significantly more wins. Never mind all that because Westbrook averaged a triple-double. No one else had. Not since they used peach baskets. Westbrook’s performance was good enough to get the Thunder to the playoffs and it was good enough to win him the MVP. Forget the wins, that’s not what’s important, most said. The numbers. The history. The pageantry of a season where Westbrook set the record books ablaze was way more notable than wins. Right? So, what gives this season? Why no fanfare or pitchforks in the streets? Westbrook won’t be the MVP this season. 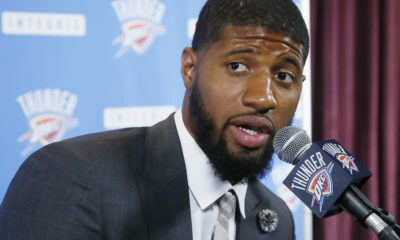 In fact, he wasn’t even voted on the All-NBA team, which was announced Thursday, despite having another season where he averaged the hallowed triple-double. But it’s really not. Not at all, because ultimately wins do matter. They always have, but Westbrook’s accomplishment of winning MVP a season ago was partly due to his numbers and a lot to do with his situation. Kevin Durant had just left. And most thought Westbrook was left for dead, with a roster that would be lucky to be picked up at the local Y. So, while Westbrook racked up the numbers, he also tugged a bit at our emotions. After all, he was the one who stayed. It was KD who bolted for the “easier” situation, chasing a title and a ring and all the glory. It was Westbrook who was left to pick up the pieces. But now we’re a season removed, and despite the numbers, which are just as impressive, Westbrook didn’t get the benefit of much of anything. In fact, conventional wisdom tells you people aren’t that impressed. Apparently the numbers don’t matter so much – not after the team had essentially the same number of wins, essentially finished in the same spot in the Western Conference and literally went out in the same round of the playoffs as a season ago. Who’s rushing to defend Westbrook’s accomplishments now? No one. And that’s because the wins do matter. 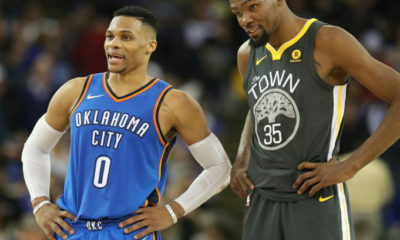 They matter more than anything else and Westbrook, who got a free pass a season ago, thanks to KD leaving town, didn’t get any of the emotional bump he received last year. He had Carmelo Anthony and he had Paul George this time around. Westbrook even had Steven Adams and a team that was built to compete, and maybe beat, Houston and Golden State. Russ had the numbers. What he didn’t have were the wins. That should have been the barometer a season ago.